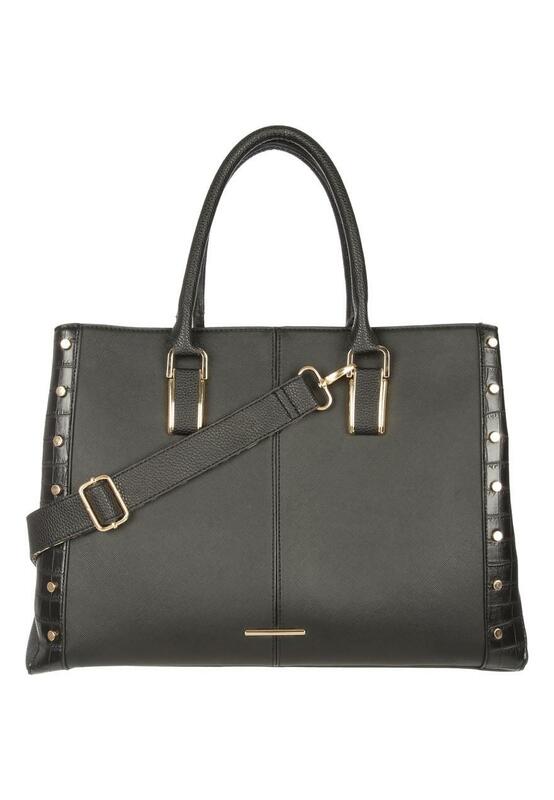 Update your collection of fashion accessories with a new every day bag. 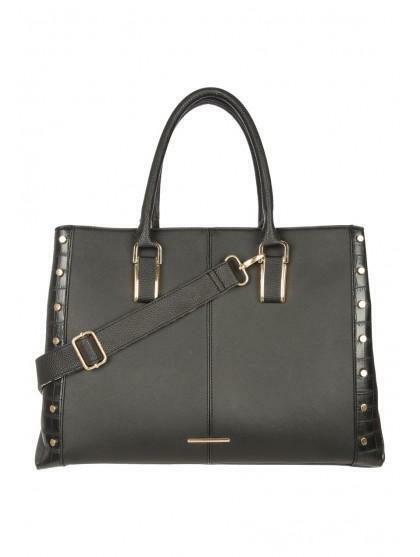 In black featuring gold stud detailing, a detachable long strap and a multi-compartment design it's a stylish choice for work. Height: 30cm Width: 36cm Depth: 14cm. Too large to be a crossbody bag us the shoulder strap does not fix correctly to bag so the bag hung twisted. It is a bag with triple compartments do ample space. Black lining inside makes it hard to find anything. This was returned as not suitable for my needs.